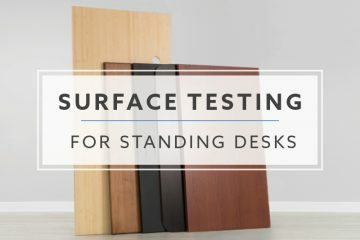 Hopefully you have had a chance to take a look at our in-depth review of the VertDesk v3. 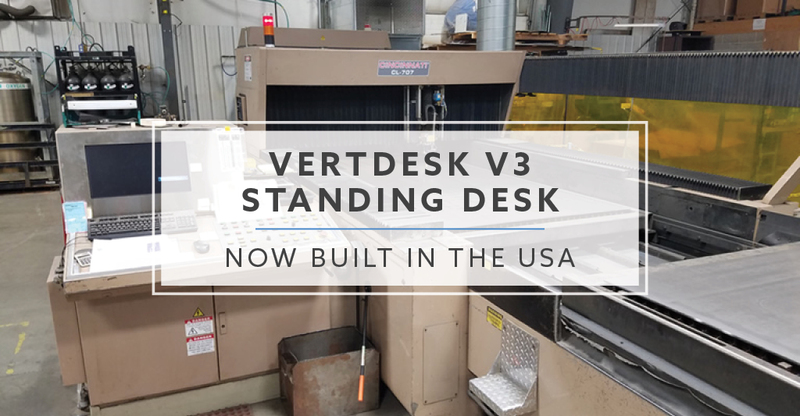 One of the biggest takeaways from that review and the evolution post was our decision to start building the VertDesk v3 in the USA. 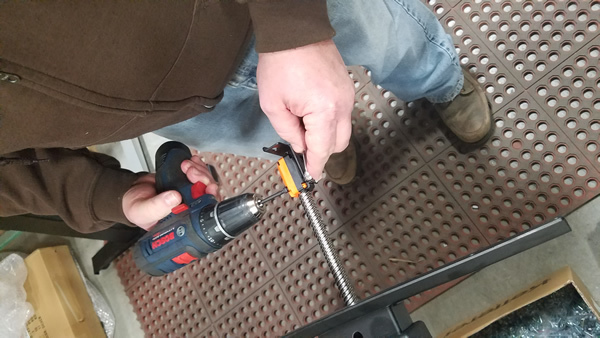 By making this switch we felt like we would be able to offer better consistency to our customers. Our goal for the v3 has always been to produce a high quality product that would offer a new level of stability in its class. This of course had to come without pushing the price too high. 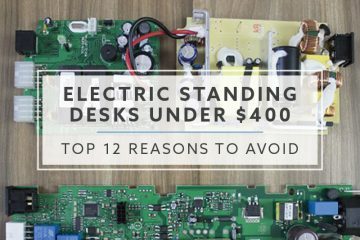 Overall, I feel we were able to accomplish those goals and set a new standard in the mid-range desk class. The first thing I would like to make absolutely clear, we have not put the label “Made in the USA” on our product. It’s become increasingly frustrating watching our industry mislabel products. The VertDesk v3 is currently built in the USA; there is a big difference in my opinion. Parts like the electronics, gears and legs are produced overseas. The electronics and gears come from Europe, while the legs are built in Taiwan. 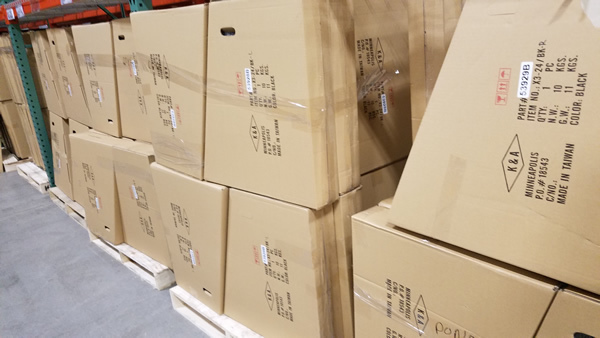 These parts are then shipped to our OEM manufacturer in the USA to be paired with the rest of the parts that they produce in house. 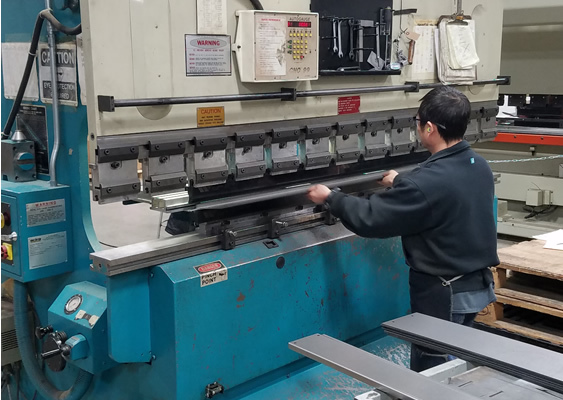 Our OEM manufacturer, K&A Mfg., Inc. currently produces the motor brackets, cross supports, u channels and work surfaces in Wisconsin. 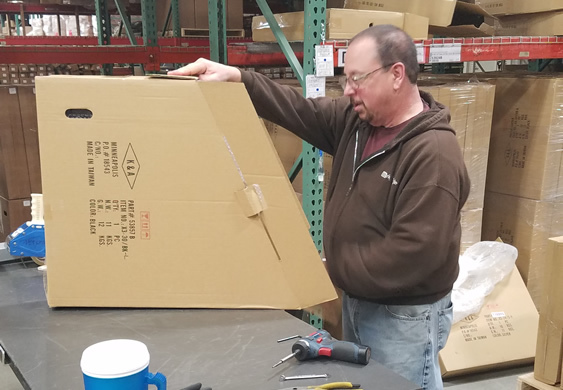 They take the additional parts that are sourced from overseas and complete the assembly at their Wisconsin facility. 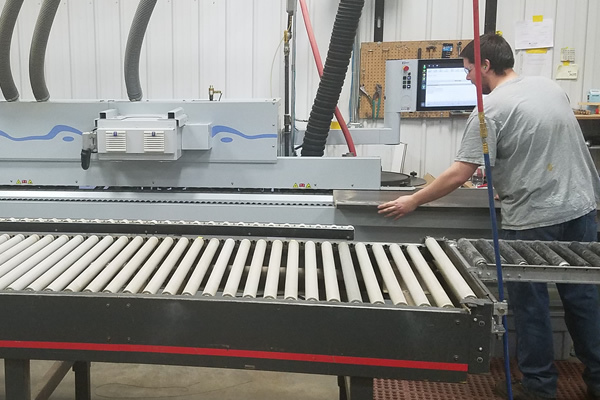 K&A Mfg., Inc. uses their laser to cut all of the metal components produced for the VertDesk v3. This includes the cross support, motor bracket and u channel support. 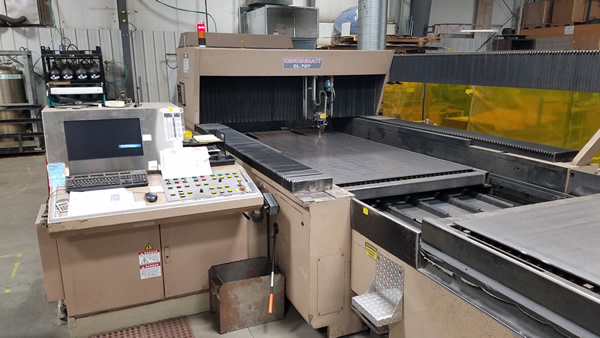 After the parts have been cut, they form them on large press brake machines. The steel parts are then ready to go off to be powder coated with a durable finish. The last part of the VertDesk v3 that K&A currently produces in house is the work surface. 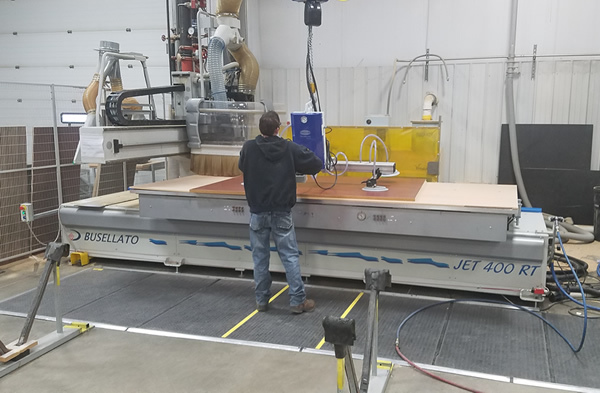 All work surfaces are made to order, cut on their CNC router from large sheets of particleboard. After the work surface has been cut it is edge banded. K&A features 4EVERedge, a state-of-the-art hot air technology used to adhere the edge to the worksurface. This creates a seam-free edge and is resistant to solvents, dirt, heat and moisture. Production starts the process by grabbing a left and right leg from inventory. The columns are pulled apart to inspect for any defects. As they are pulled apart we check the glides to ensure a snug fit. 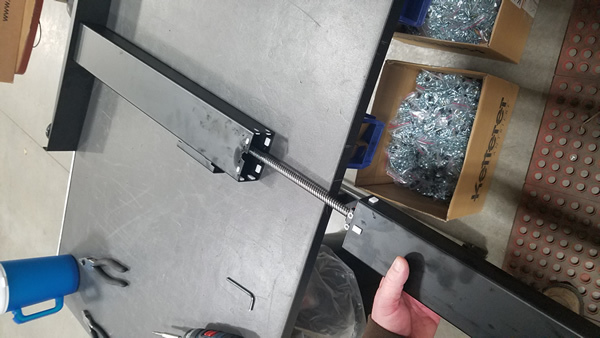 If there is any play (wiggle) from the tolerance found in steel, we have three custom sizes of glides that can be used for a perfect fit. Once the columns are apart we are ready to insert the gears. There is a Ketterer gear specific to the right and left leg. The gear is set in the bottom column (outer) and then screwed into place. 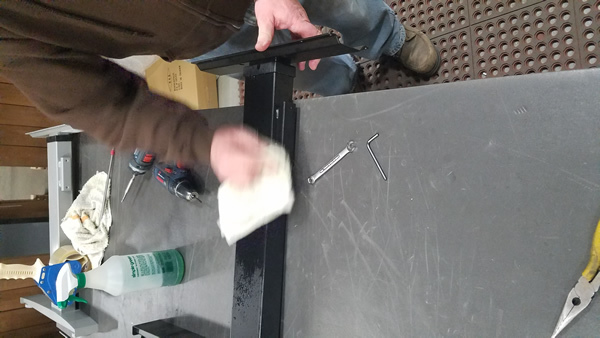 The mounting bracket is removed so that the gear can be slid back out the top of the work surface support and be mounted later. The inner and outer columns are slid back together and the gear is pushed out of the top of the work surface support. The mounting bracket is reattached and then the gear is slid back into place. 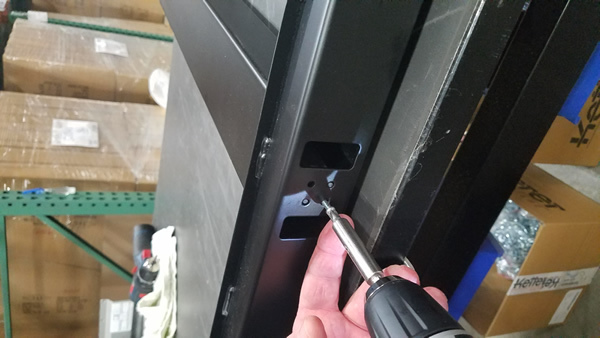 Finally, the mounting bracket is attached to the upper support with screws and the column is completed. Note: Setting the gear inside the column properly is very important. Missing this step could lead to potential problems down the road. Once the assembly has been complete, the columns are repackaged and put into inventory. It’s been very exciting for us to have brought a portion of the production and the assembly to the USA. 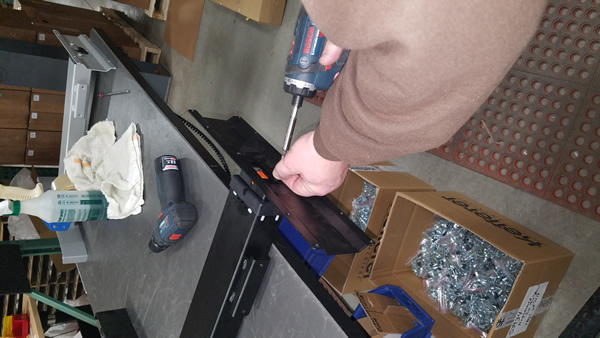 The ability to assemble and inspect the desks prior to shipment has allowed for a much higher level of quality control. It’s also important for us to honestly show what is really made in the USA and what is produced by our partners overseas. We hope that our transparency will not only impact you positively, but the rest of our industry moving forward. 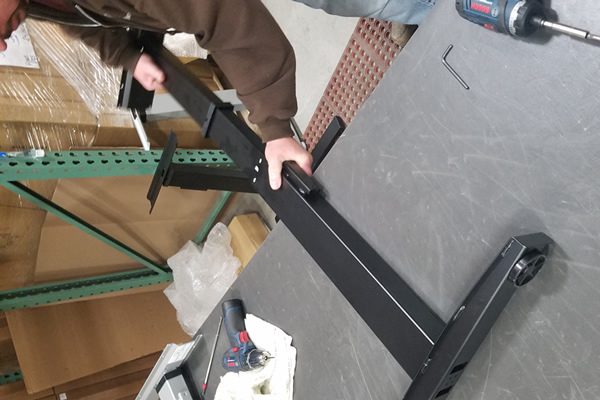 After seeing our latest version of the VertDesk, we know you will appreciate the extra work that was put into our product. 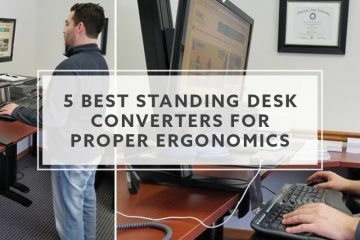 BTOD Duke vs. VARIDESK Pro Plus 36: Which is the best?